After all these years living in Paris, we still needed to cross the Opera Garnier tour off our bucket list. The reason? We have visited most of Paris landmarks and attractions without paying, so we were waiting for a special event to visit Opera Garnier for free. Unfortunately, it seems that Opera Garnier wants to stay away from cultural initiatives like the European Heritage Days or the Museums’ Night and we have never found free entrance opportunities. 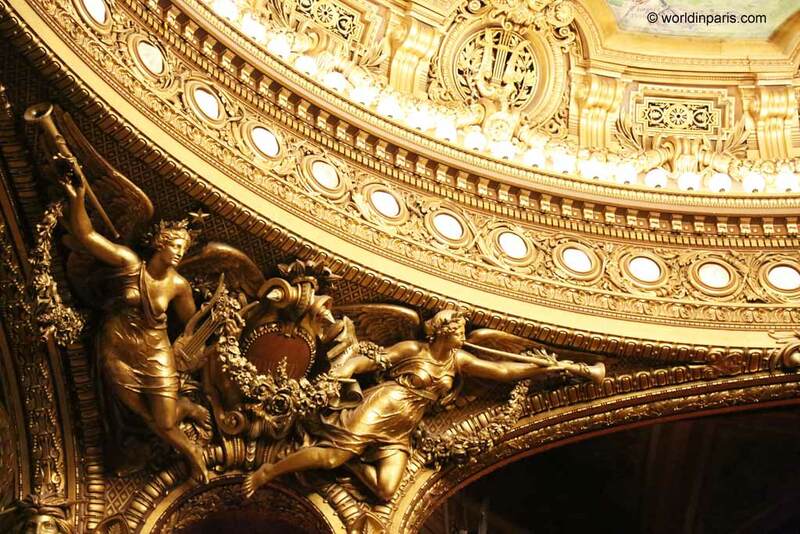 In the end, we booked an Opera Garnier guided tour to (finally) admire Palais Garnier architecture and decoration, learn more about its fascinating history and decide that Opera Garnier Paris is one of the most beautiful places to visit in Paris. The best way to enjoy the Opera Garnier is to attend a performance and see the show. 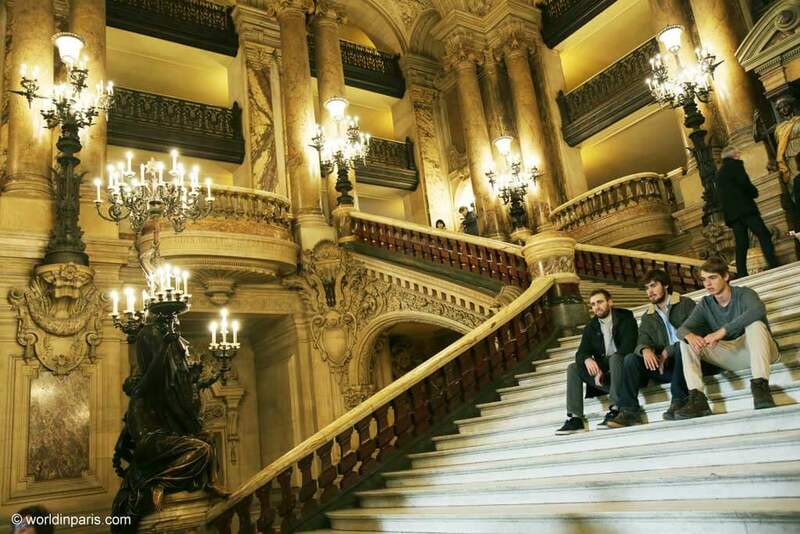 Opera Garnier Paris proposes Classical Music & Opera performances and also Classic & Contemporary Ballets. Check out the Opera’s program, dates, and ticket prices here. 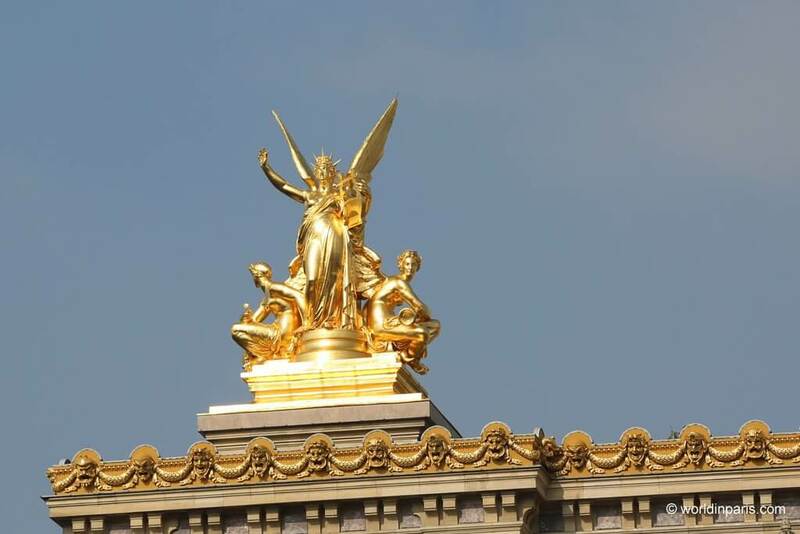 Also, Opera Garnier Paris proposes self-guided tours and guided tours in English and French. 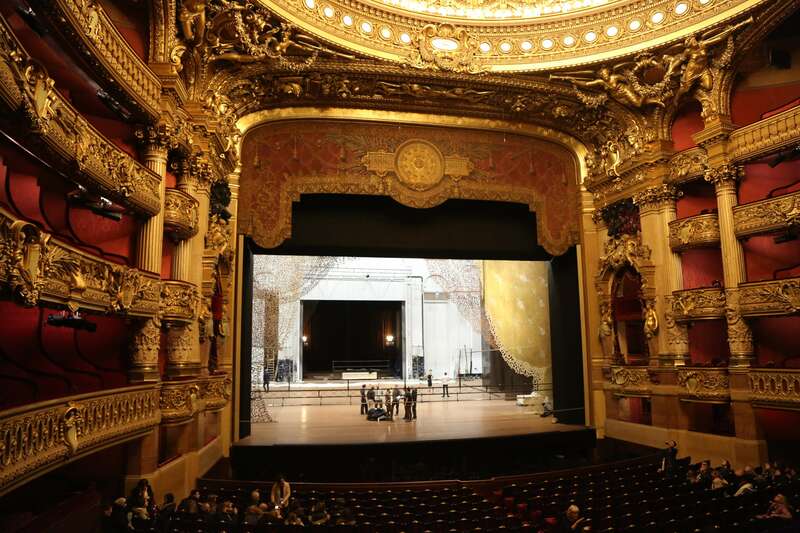 None of these tours can guarantee the access to the auditorium of the Opera Garnier Paris, as it may be closed for technical or artistic reasons. The day tour includes the visit to the Library-Museum of the Opera, which is closed at night. Also, some people may prefer to admire Palais Garnier architecture and decoration with daylight. The night tour puts more emphasis on the Phantom of the Opera story and other mysteries, and you can visit the phantom’s prívate box (not included in the day tour). Also, this tour starts when the Opera Garnier has closed to the public so you can visit le Palais Garnier without the crowds. We decided to take the guided day tour and we enjoyed every minute of it! Le Palais Garnier Paris, also known as Opera Garnier Paris or Opera de Paris, was commissioned by Emperor Napoleon III as part of his reconstruction of Paris. 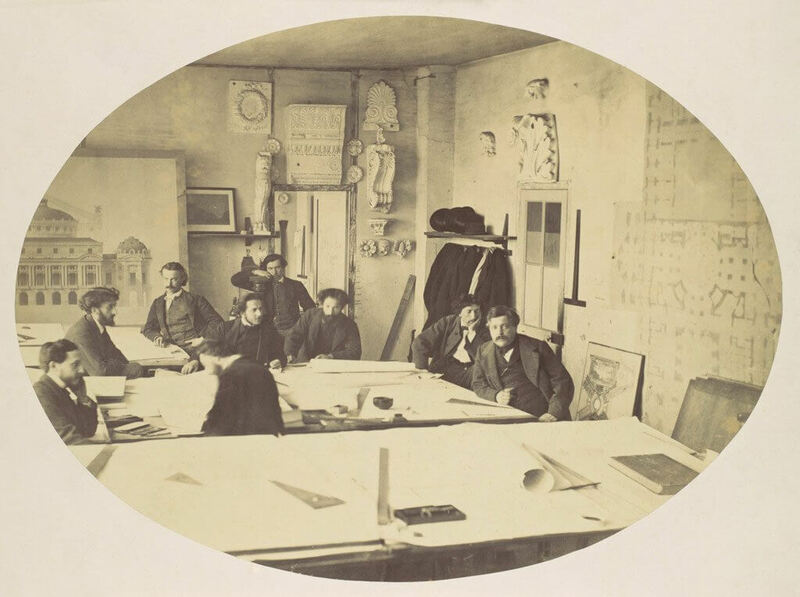 The winner of the Opera’s architectural design competition was Charles Garnier, a young and unknown architect who presented a highly eclectic project borrowing elements from many historical sources. The project took thirteen years to be completed, due to France’s difficult political situation AND lots of water. 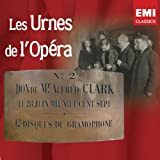 When Parisian workers attempted to lay the opera’s concrete foundations, a seemingly endless flow of water bubbled up from the swampy, newly cleared ground, and it seems no one could do anything to stem it. To deal with this unexpected problem, Garnier decided to incorporate this underground water into the project and designed a double foundation to protect the superstructure from moisture. This new design incorporated a watercourse and an enormous concrete cistern (cuve) which would both relieve the pressure of the external groundwater on the basement walls and serve as a reservoir in case of fire. The legend of a mysterious underground lake in the Opera is true (more on this later). The building is 154.9 meters long; 70.2 meters wide at the lateral galleries; 101.2 meters wide at the east and west pavilions. Le Palais Garnier Paris was completed in 1874 and today is considered a masterpiece of Neo-Baroque Architecture, as well as one of the most beautiful places in Paris. The façade and the interior have no space without decoration and symbolize the opulence of the Second Empire. Garnier combined masterfully the colors and textures offered by different kinds of marble and stones, porphyry, gilded bronze, iron framework and other materials. L’Opera Garnier Paris has 1,979 seating capacity which makes it one of the largest theaters in the world. It was officially inaugurated on 5 January 1875 with a lavish performance attended by Marshal MacMahon, the Lord Mayor of London and King Alfonso XII of Spain. Since its inauguration, the building has inspired many other buildings around the world, being the most notable examples the Thomas Jefferson Building of the Library of Congress (Washington DC, US), the National Opera House of Ukraine (Kiev, Ukraine), the Theatro Municipal do Rio de Janeiro (Brazil), the Amazon Theatre (Manaus, Brazil) or the Hanoi Opera House (Vietnam). 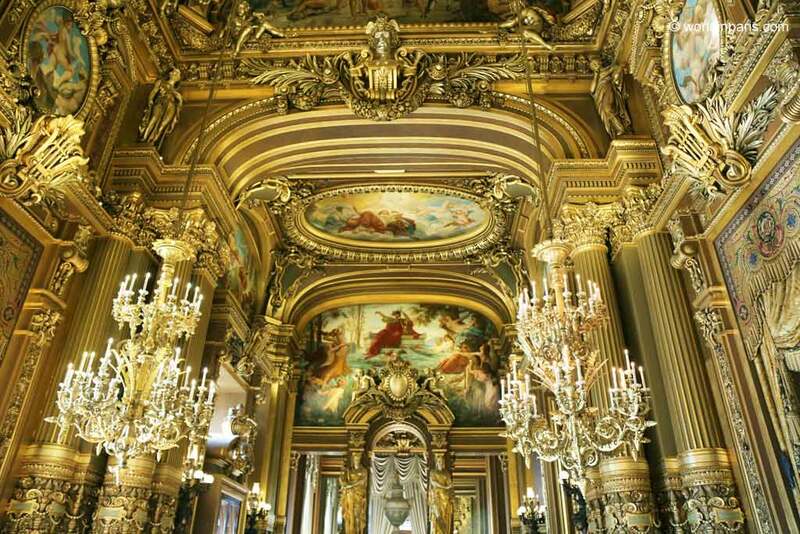 Palais Garnier Tour lasts about 90 minutes and you can visit most of the public spaces. 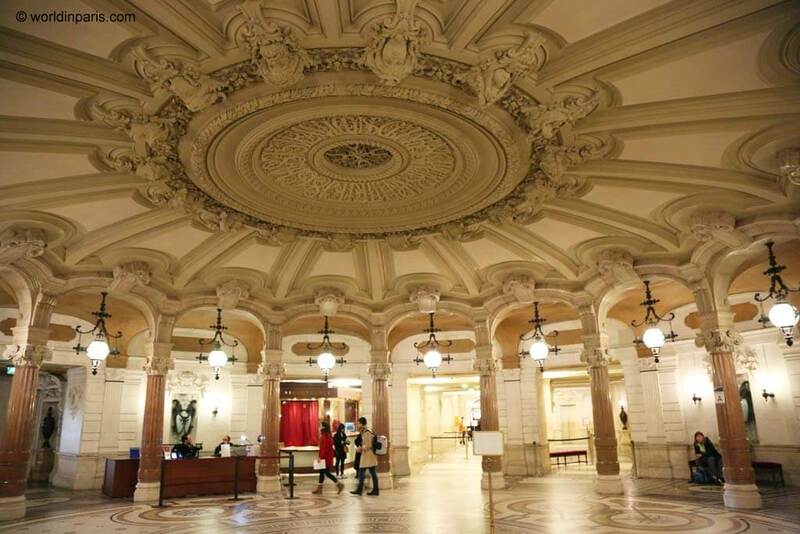 The day tour includes the visit of the Library-Museum of the Opera while the night tour includes the visit of box number 5, the phantom’s private box, which by the way is sold for every performance. After the guided visit you can stay inside the building as long as you want. Our Opera Garnier tour started at la Rotonde des Abonnées, a circular vestibule used to accommodate spectators arriving by car. This is a space with a rather dark atmosphere: indeed, Charles Garnier wanted to give the spectator the impression to enter a cave before he is dazzled by the Grand Escalier and other theater fires. 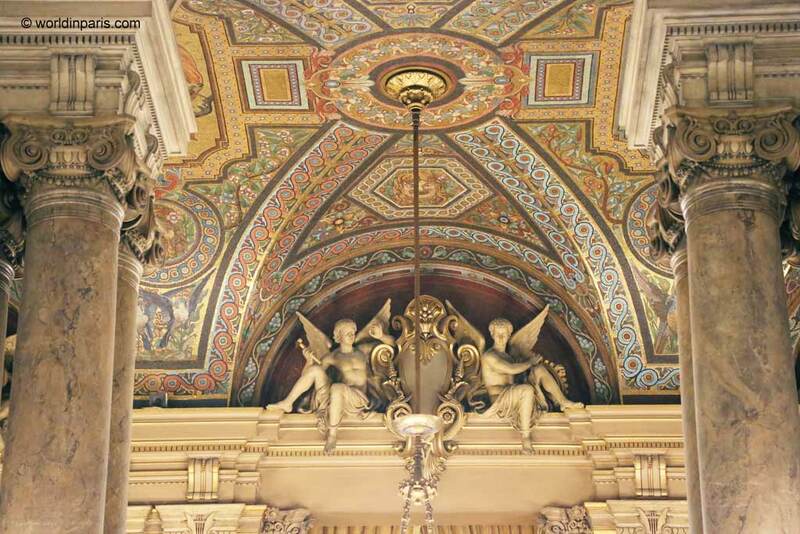 On the vestibule’s ceiling, you can see Charles Garnier’s signature, and this is the first time in history that an architect puts his signature in a building. Le Grand Escalier consists of a double staircase leading to the foyers of the theatre. Built with marbles of different colors coming from all Europe, the Grand Escalier’s space is covered by a magnificent thirty-meter-high vault. The pedestals of the staircase are decorated with female torchères who greet the spectators. Le Grand Escalier was a triumphal entrance, where spectators could see and be seen, that’s why we find balconies along the main stair. Season ticket holders went to the opera 2-3 times a week, not because there were different performances but to show off and socialize. The Auditorium is the heart of the Opera Palais Garnier, where the performances take place. The theater has a horseshoe shape, so-called for the way the seats are arranged to see and to be seen. It is decorated with marble, stucco, velvet, and gilding. That day we were very lucky: not only we had access to the auditorium, we could even see the stage open which is very rare! Some technicians were working on the decorations for the next show, and they did not mind having us hanging around. 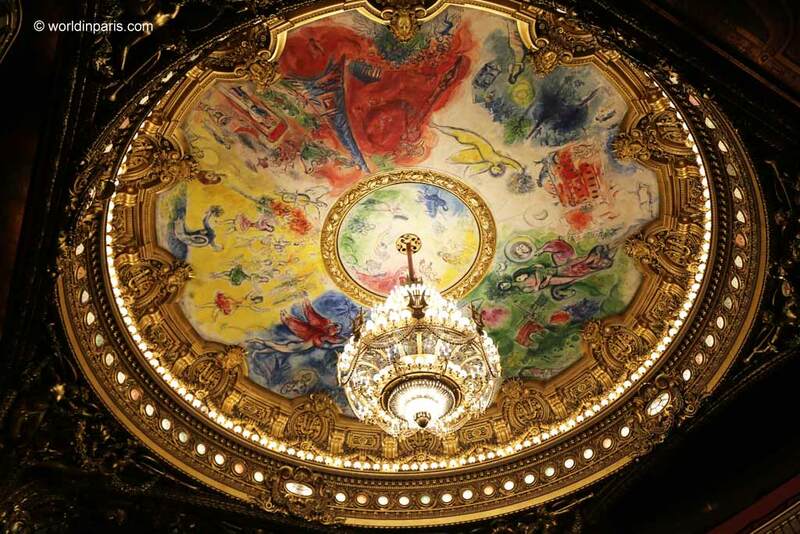 One of the theatre’s main features is its fantastic ceiling designed by Marc Chagall and commissioned in 1964. The ceiling supports an 8-ton bronze and crystal chandelier with 340 lights which is a wonder. This new ceiling was installed on a removable frame over the original ceiling designed by Jules Eugène Lenepveu which remains hidden but intact. To our surprise, while we were listening to our guide’s explanations, a ballerina just came in and started an improvised performance under the eyes of her teacher. Wow, so beautiful! 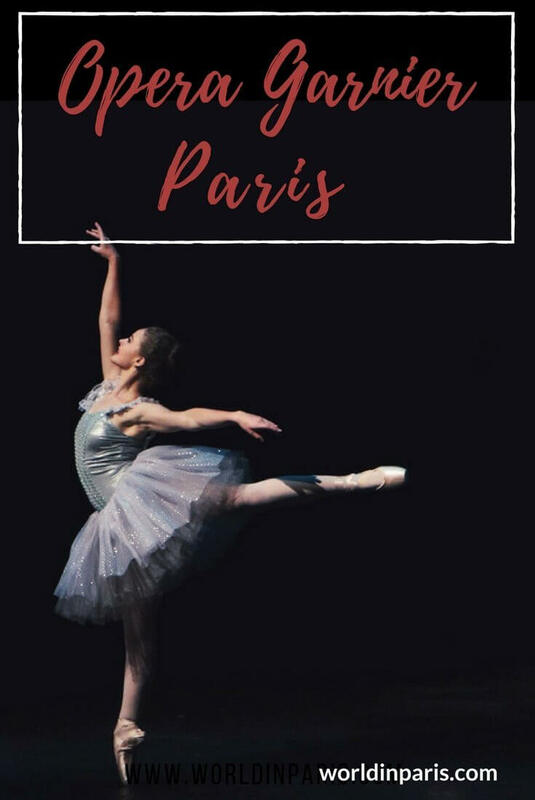 The guide told us she was training to enter the prestigious Palais Garnier Ballet, a very difficult competition which takes place every year during the first days of March. The Grand Foyer is a long room 18 meters high, 154 meters long and 13 meters wide and has spectacular views of the Grand Staircase. 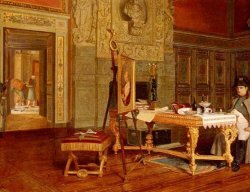 This hall had an important role in Paris society as it was the perfect place to socialize while drinking champagne during the interacts. The Grand Foyer was inspired by the Hall of Mirrors in Château de Versailles, with lots of natural light, gold, and mirrors. The lyre, God Apollo’s symbol, is the main element of decoration and you can find it everywhere in the room. Its ceiling represents various moments in the history of music. This is something that we could not see by ourselves because it is only visited during the night tour. Box number 5 was the phantom’s box and he demanded that every night the box was his alone, to be kept empty and not shared with another. Today, this box is sold out for every single performance and it seems to be a wonderful place to see the opera without being seen. Some people tell about a special atmosphere there but again, we cannot tell. The underground lake where Erik built his palace really exists but it is not as fairy as Gaston Leroux described it. Actually, it is the water tank built by Charles Garnier to relieve the pressure of the external groundwater on the basement walls and serve as a reservoir in case of fire. Our guide explained to us that the weight of the tank also stabilizes the building. Some years ago the Opera workers tried to empty the tank to clean it until they received a call from their boss above ground: they had to stop immediately emptying the tank, all the opera building was moving! 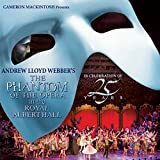 During one of the novel’s most thrilling moments, the Phantom kills an audience member by causing the Grand Chandelier to fall during a performance and the confusing situation allows him to kidnap Christine to his underground palace. The fall of the chandelier actually mirrors a real accident that occurred at the Opera in 1896, when one of the counterweights of the chandelier fell into the audience and killed a concierge. In the novel, Leroux mentions the burying of phonographic recordings in the cellars of the Opera Garnier. He narrates that while the workmen in charge were preparing the cellar to store the recordings, they found a corpse identified as the phantom’s. Actually, this is a historical fact: in 1907, the Gramophone Company sealed 48 gramophone records of the greatest singers of the day in two containers and locked them in the cellars of the opera house, to be opened 100 years later. In 2007, the containers were opened and the records digitized by EMI Classics under the name of Les Urnes de l’Opéra but there is no record of finding a corpse. Gaston Leroux did not build his main characters from scratch. He had heard the rumor that one of the Opera’s architects, a young man named Eric, had asked to live amid the foundations of the structure and had never seen again. Christine character was probably inspired by the real-life soprano Christine Nilsson, also Swedish and from poor origins. 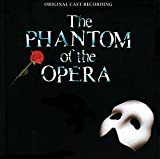 Officially, the Phantom of the Opera Paris is pure fiction but Opera Garnier does not want to disappoint the visitors either, that’s why the night tours with an emphasis on the phantom of the opera story still exist. 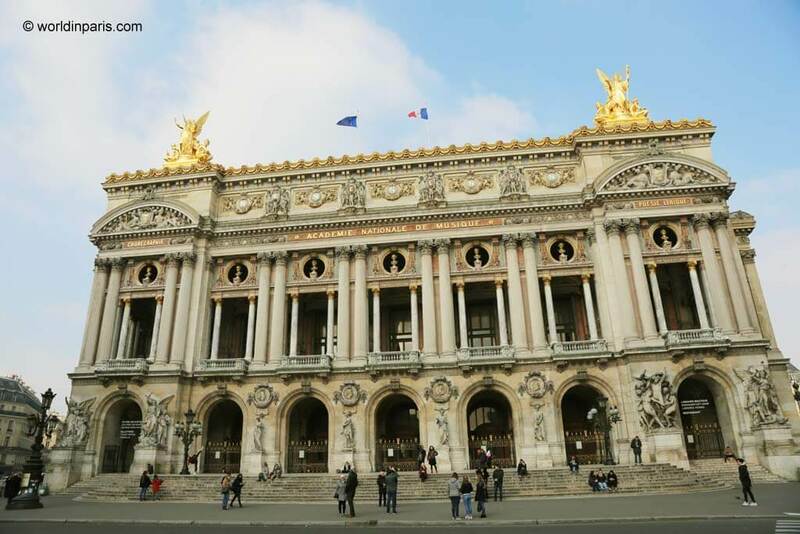 Although nobody believes the phantom of the opera story, workers don’t hesitate to blame the phantom when something inexplicable happens . .
Have you visited the Opera Garnier Paris? 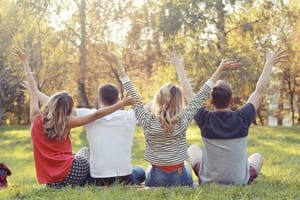 What are your favorite places to visit in Paris?